Baker, Ravenel & Bender, L.L.P., of Columbia announces that its senior partner Cravens Ravenel has retired from the practice of law following a distinguished career of nearly 50 years. Ravenel’s practice was focused on complex civil litigation in the areas of products liability, professional malpractice, and construction defects. In recognition of his law practice accomplishments, Ravenel was named a Fellow of the American College of Trial Lawyers and recognized in the publication Best Lawyers in America. 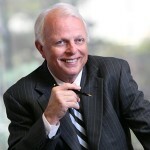 Ravenel’s contributions to the profession and community included service on the South Carolina Supreme Court Committee on Character and Fitness; the Midlands Commission on Homelessness; chair of the Board of Trustees, South Carolina Episcopal Home at Still Hopes; Board of Directors of the Greater Columbia Human Relations Council; and vice chair of the Richland County Election Commission. Ravenel’s commitment to the community has not been limited to service in leadership positions, as he weekly serves meals to the homeless at Trinity Episcopal Cathedral and regularly participates in work details at St. Lawrence Place transitional housing for families. Gamecock athletics are expected to benefit from Ravenel’s retirement as he will have more time to cheer them on at all USC sporting events, from spring football to the games of the national-champion women’s basketball team and twice national-champion baseball team.